As we get further into Season 7, one has to wonder, what is Don’s next step? His life has been completely upheaved and he feels very distant from his family and familiar connections. He is a man without a plan possibly for the first time since he became Donald Draper. 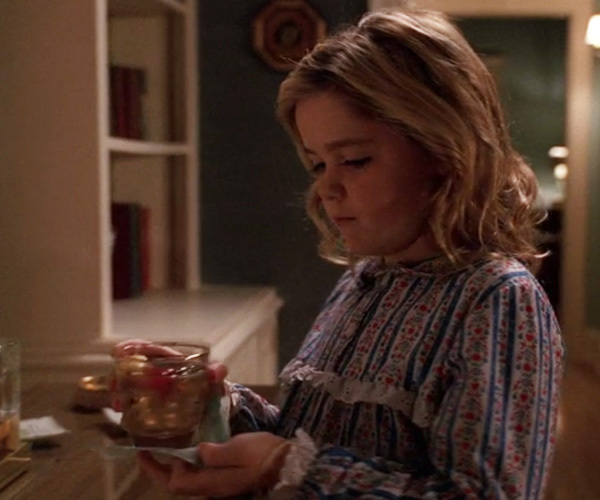 For this week’s drink, we harken back to a time when Don was very connected to Betty and his children. In S2E2, “Flight 1”, Francine and Carlton come over to the Draper’s house for Drinks and Cards. Don has instructed Sally on how to make Old Fashioneds which she gives to he and Carlton. 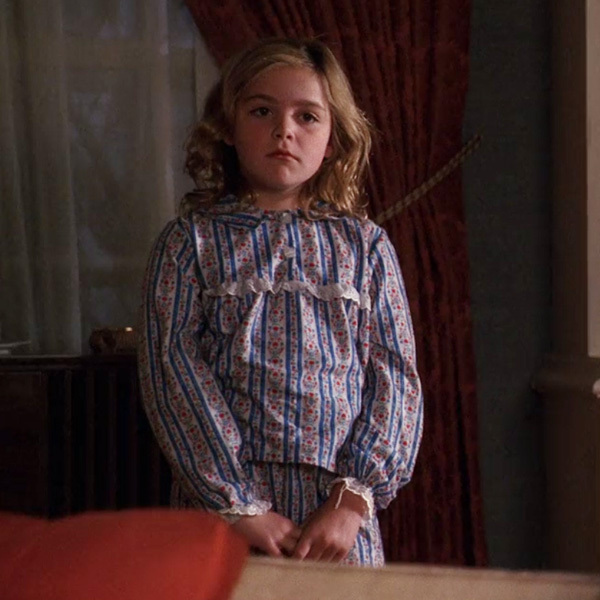 Don then tells Sally to “go take Mommy and Francine’s orders”. Sally knows that a great Home Bar Girl is a great listener. A Tom Collins is a simple drink by any standard but it’s origin story varies wildly and the “original recipes” have a range of amounts. 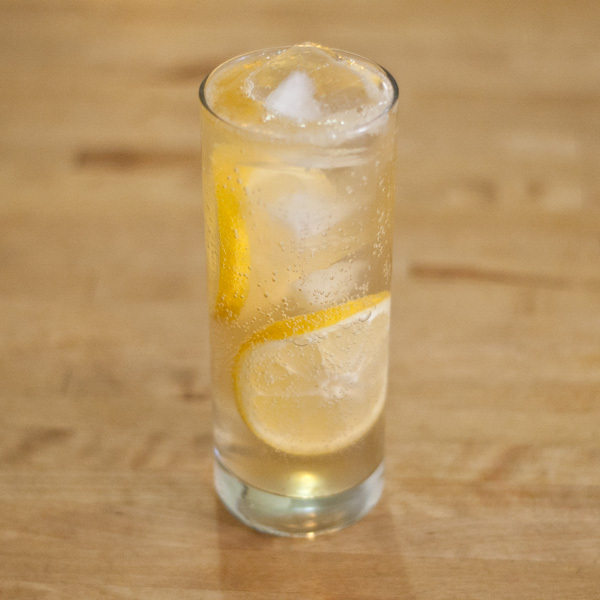 The first recipe which could be considered a “Tom Collins” is a Gin Twist from 1871 calling for 2 oz Genever or Old Tom Gin, 1 oz Lemon Juice and 2 bar spoons of sugar. It is the use of Old Tom Gin in the drink which many suspect why its name was changed to “Tom Collins” in 1876. In this iteration as well as the next few of the Tom Collins, the amount of Lemon and Sugar and types of Sugar change. Essentially, it’s one of those “whatever you think tastes best” drinks! I like to make mine with Demerara Simple Syrup and Old Tom gin but you should use whatever you like the most! Superfine sugar and Bombay Dry? Sounds amazing! Agave and New American Gin? Sure! I like mine in the following format. 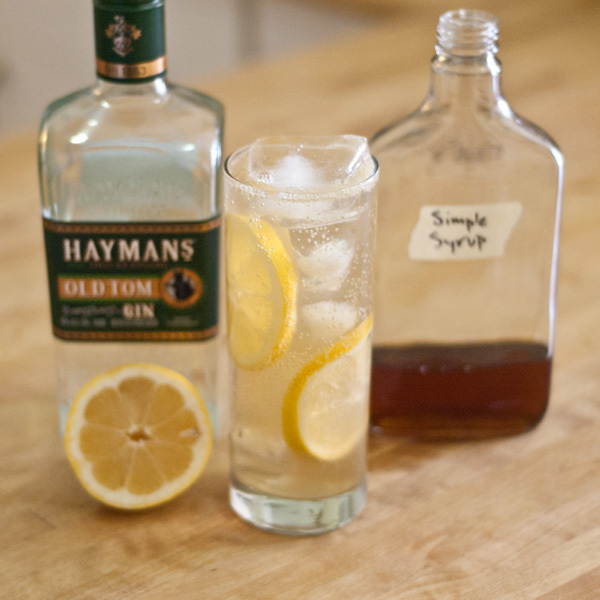 Combine Gin, Lemon Juice and Simple Syrup in tin and stir until ingredients have combined. 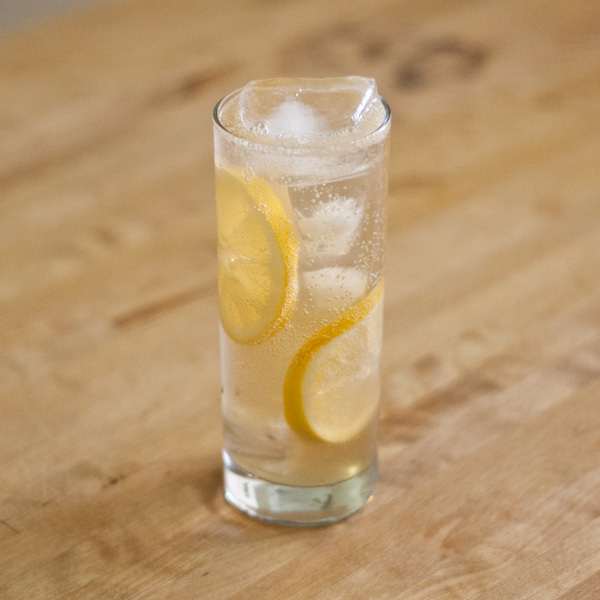 Pour into Collins glass with Ice and Lemon Slices. Pour Club Soda on top and stir again. 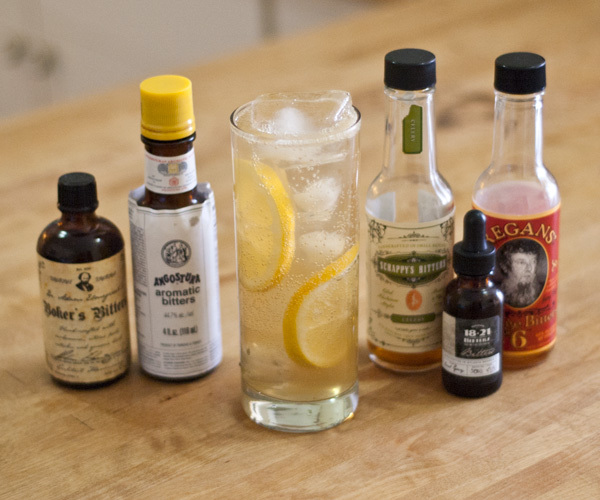 If you want to liven up your Tom Collins a bit, add a dash or two of bitters. I’d recommend any of the above bitters, possibly even a combination! 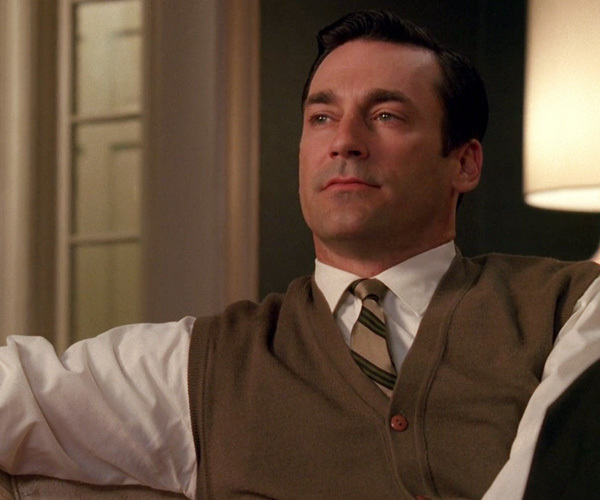 I’ll be doing this series until the end of Mad Men, so see you next week!